Victor House is on the corner of Mare Street & Richmond Road. The entrance is on Richmond Road, through the large grey metal gates just before Martello Street (if you are coming from Mare Street). The nearest tube stations are Dalston & Bethnal Green. 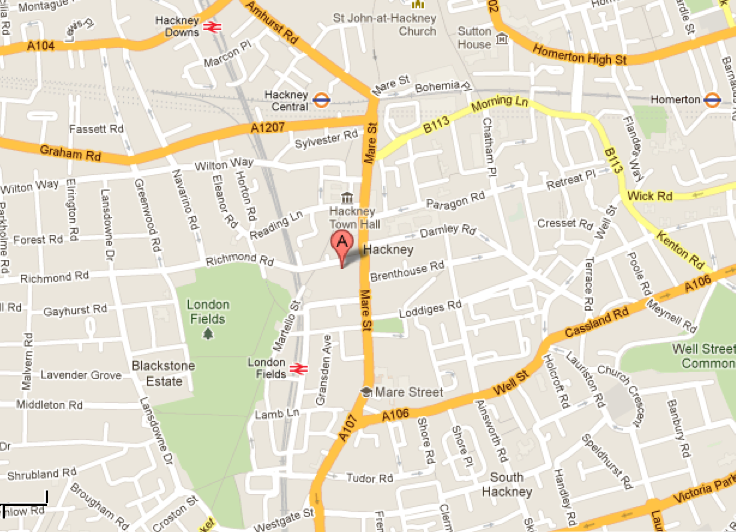 We are also very close to Hackney Central (Silverlink) & London Fields (West Anglia) overland stations. If driving, parking is available at Victor House, by arrangement.